The freight carrier will bring the cabinets to the back of the truck and will require your assistance to unload them. The cabinets are easily manageable between you and the driver to get them off the truck. If there is any freight damage please notate this on the freight bill so we can ship you any replacements at no charge to you. If visible damage is not notated at time of delivery, then the cabinets will not be covered under the carrier insurance and you could incur charges for replacements. Call me if you have any questions. Thank you again for the order and enjoy your cabinets. PLEASE READ THESE TERMS AND CONDITIONS OF PRODUCT SALES CAREFULLY. THE TERMS AND CONDITIONS OF PRODUCT SALES ARE LIMITED TO THOSE CONTAINED HEREIN. ANY ADDITIONAL OR DIFFERENT TERMS IN ANY FORMS DELIVERED BY YOU ("CUSTOMER") ARE HEREBY DEEMED TO BE MATERIAL ALTERATIONS AND NOTICE OF OBJECTION TO THEM AND REJECTION OF THEM IS HEREBY GIVEN. BY ACCEPTING DELIVERY OF THE PRODUCTS DESCRIBED IN GOOD VALUE HOME IMPROVEMENT CENTER'S INVOICE OR OTHER GOOD VALUE DOCUMENTATION, CUSTOMER AGREES TO BE BOUND BY AND ACCEPTS THESE TERMS AND CONDITIONS OF PRODUCT SALES UNLESS CUSTOMER AND GOOD VALUE HOME IMPROVEMENT CENTER HAVE SIGNED A SEPARATE AGREEMENT, IN WHICH CASE THE SEPARATE AGREEMENT WILL GOVERN. ANY GENERAL DESCRIPTION OF THE TYPES OF PRODUCTS AND RESULTS THEREOF POSTED ON THE WEBSITE DO NOT CONSTITUTE PART OF THE AGREEMENT BETWEEN GOOD VALUE AND CUSTOMER. These Terms and Conditions of Product Sales constitute a binding contract between Customer and the GOOD VALUE Entity identified on Customer's invoice ("Good Value Home Improvement Center") and are referred to herein as either "Terms and Conditions of Product Sales" or this "Agreement". Customer accepts these Terms and Conditions of Product Sales by making a purchase, placing an order or otherwise shopping on Good Value's Website (the "Site"). These Terms and Conditions of Product Sales are subject to change without prior notice, except that the Terms and Conditions of Product Sales posted on the Site at the time Customer places an order will govern the order in question, unless otherwise agreed in writing by Good Value and Customer. Customer consents to receiving electronic records, which may be provided via a Web browser or e-mail application connected to the Internet; individual consumers may withdraw consent to receiving electronic records or have the record provided in non-electronic form by contacting Good Value at the address provided below. In addition, Internet connectivity requires access services from an Internet access provider. Contact your local access provider for details. IN CASE OF PROCUREMENT OF SERVICES, INDEPENDENTLY OR IN CONJUNCTION WITH THE PURCHASE OF PRODUCTS, SUCH SERVICES SHALL BE ON AND SUBJECT TO THE TERMS AND CONDITIONS OF SERVICE PROJECTS ON THE SITE. Customer may issue a purchase order for administrative purposes only. Additional or different terms and conditions contained in any such purchase order will be null and void. Customer agrees that the Terms and Conditions of Product Sales contained herein and in Good Value's invoice or other Good Value documentation will control. No course of prior dealings between the parties and no usage of trade will be relevant to determine the meaning of these Terms and Conditions of Product Sales or any purchase order or invoice related thereto. THESE TERMS AND CONDITIONS OF PRODUCT SALES AND ANY SALE OF PRODUCTS HEREUNDER WILL BE GOVERNED BY THE LAWS OF THE STATE OF TEXAS, WITHOUT REGARD TO CONFLICTS OF LAWS RULES. ANY ARBITRATION, ENFORCEMENT OF AN ARBITRATION OR LITIGATION WILL BE BROUGHT EXCLUSIVELY IN HARDIN COUNTY, TEXAS AND CUSTOMER CONSENTS TO THE JURISDICTION OF THE FEDERAL AND STATE COURTS LOCATED THEREIN, SUBMITS TO THE JURISDICTION THEREOF AND WAIVES THE RIGHT TO CHANGE VENUE. CUSTOMER FURTHER CONSENTS TO THE EXERCISE OF PERSONAL JURISDICTION BY ANY SUCH COURT WITH RESPECT TO ANY SUCH PROCEEDING. Except in the case of nonpayment, neither party may institute any action in any form arising out of these Terms and Conditions of Product Sales more than one (1) year after the cause of action has arisen. If Customer provides Good Value with Customer's carrier account number or selects a carrier other than a carrier that regularly ships for Good Value, title to products and risk of loss or damage during shipment passes from Good Value to Customer upon shipment from Good Value's facility or it's distribution centers (F.O.B. Origin, freight collect). For all other shipments, title to products and risk of loss or damage during shipment passes from Good Value to Customer upon receipt by Customer (F.O.B. Destination, freight prepaid and added). Notwithstanding the foregoing, title to software will remain with the applicable licensor(s) and Customer's rights therein are contained in the license agreement between such licensor(s) and Customer. Good Value retains a security interest in the products until payment in full is received. Customer understands that Good Value is not the manufacturer of the products purchased by Customer hereunder and the only warranties offered are those of the manufacturer, not Good Value. In purchasing the products, Customer is relying on the manufacturer's specifications only and is not relying on any statements, specifications, photographs or other illustrations representing the products that may be provided by Good Value or its affiliates. GOOD VALUE AND ITS AFFILIATES HEREBY EXPRESSLY DISCLAIM ALL WARRANTIES EITHER EXPRESS OR IMPLIED, RELATED TO PRODUCTS, INCLUDING, WITHOUT LIMITATION, ANY WARRANTY OF MERCHANTABILITY OR FITNESS FOR A PARTICULAR PURPOSE, OR WARRANTY OF NONINFRINGEMENT. THIS DISCLAIMER DOES NOT AFFECT THE TERMS OF THE MANUFACTURER'S WARRANTY. GOOD VALUE WILL MAKE EVERY EFFORT AS THE SELLER TO RECTIFY AND RESOLVE PRODUCT LIABILITY IF AT ALL POSSIBLE. All pricing is subject to change. Good Value reserves the right to make adjustments to pricing and products for reasons including, but not limited to, changing market conditions, product discontinuation, product unavailability, manufacturer price changes and errors in advertisements. All orders are subject to product availability. Therefore, Good Value cannot guarantee that it will be able to fulfill Customerï¿½s orders. UNDER NO CIRCUMSTANCES WILL GOOD VALUE, ITS AFFILIATES, SUPPLIERS, SUBCONTRACTORS OR AGENTS BE LIABILE FOR: (A) ANY INCIDENTAL, INDIRECT, SPECIAL, PUNITIVE OR CONSEQUENTIAL DAMAGES WHICH INCLUDES BUT IS NOT LIMITED TO, LOSS OF PROFITS, REVENUES OR SAVINGS, EVEN IF GOOD VALUE HAS BEEN ADVISED OF THE POSSIBILITIES OF SUCH DAMAGES, WHETHER A CLAIM FOR ANY SUCH LIABILITY IS PREMISED UPON BREACH OF CONTRACT, WARRANTY, NEGLIGENCE, STRICT LIABILITY OR OTHER THEORY OF LIABILITY; (B) CLAIMS, DEMANDS OR ACTIONS AGAINST CUSTOMER BY ANY THIRD PARTY; (C) ANY LOSS OR CLAIM ARISING OUT OF OR IN CONNECTION WITH CUSTOMER'S IMPLEMENTATION OF ANY CONCLUSIONS OR RECOMMENDATIONS BY GOOD VALUE IN CONNECTION WITH THE PRODUCTS; OR (D) THE PRODUCT BEING UNAVAILABLE FOR USE OR FOR LOST OR CORRUPTED DATA OR SOFTWARE. NOTWITHSTANDING THE FOREGOING, IN THE EVENT OF ANY LIABILITY INCURRED BY GOOD VALUE, GOOD VALUEï¿½S ENTIRE LIABILITY FOR DAMAGES FROM ANY CAUSE WHATSOEVER WILL NOT EXCEED THE DOLLAR AMOUNT PAID BY CUSTOMER FOR THE PRODUCT(S) GIVING RISE TO THE CLAIM. Good Value will not be responsible for any delays in delivery which result from any circumstances beyond its control, including without limitation, product unavailability, carrier delays, delays due to fire, severe weather conditions, failure of power, labor problems, acts of war, terrorism, general insurrection, acts of God or acts of any government or agency. Any shipping dates provided by Good Value are estimates only. Each party anticipates that it may be necessary to provide access to information of a confidential or proprietary nature of such party, including its affiliates or of a third party, (hereinafter referred to as "Proprietary Information") to the other party in the performance of this Agreement. "Proprietary Information" means any information or data in oral and/or in written form which the receiving party knows or has reason to know is proprietary information and which is disclosed by a party in connection with this Agreement or which the receiving party may have access to in connection with this Agreement. Proprietary Information will not include information which: (a) becomes known to the public from a source other than the receiving party; (b) was known to the receiving party, or becomes known to the receiving party from a third party having the right to disclose it and having no obligation of confidentiality to the disclosing party with respect to the applicable information; or (c) is independently developed by personnel of the receiving party who have not had access to such information. To the extent practicable, Proprietary Information should be clearly identified or labeled as such by the disclosing party at the time of disclosure or as promptly thereafter as possible, however, failure to so identify or label such Proprietary Information will not be evidence that such information is not proprietary or able to be protected. Any claim, dispute, or controversy (whether in contract, tort or otherwise, whether preexisting, present or future, and including statutory, common law, intentional tort and equitable claims) arising from or relating to the products sold pursuant to these Terms and Conditions of Product Sales, the interpretation or application of these Terms and Conditions of Product Sales or the breach, termination or validity thereof, the relationships which result from these Terms and Conditions of Product Sales (including, to the full extent permitted by applicable law, relationships with third parties who are not signatories hereto), or Good Value's advertising and marketing (collectively, a "Claim") WILL BE RESOLVED, UPON THE ELECTION OF GOOD VALUE, CUSTOMER OR THIRD PARTIES INVOLVED, EXCLUSIVELY AND FINALLY BY BINDING ARBITRATION. If arbitration is chosen, it will be conducted pursuant to the Rules of the American Arbitration Association. If arbitration is chosen by any party with respect to a Claim, neither GOOD VALUE nor Customer will have the right to litigate that Claim in court or to have a jury trial on that Claim or to engage in pre-arbitration discovery, except as provided for in the applicable arbitration rules or by agreement of the parties. Further, Customer will not have the right to participate as a representative or member of any class of claimants pertaining to any Claim. Notwithstanding any choice of law provision included in these Terms and Conditions of Product Sales, this arbitration agreement is subject to the Federal Arbitration Act (9 U.S.C. §§ 1-16). The arbitration will take place exclusively in Beaumont, TX. Any court having jurisdiction may enter judgment on the award rendered by the arbitrator(s). Each party will bear its own cost of any legal representation, discovery or research required to complete arbitration. The existence or results of any arbitration will be treated as confidential. Notwithstanding anything to the contrary contained herein, all matters pertaining to the collection of amounts due to Good Value arising out of sales hereunder will be exclusively litigated in court rather than through arbitration. Orders are not binding upon Good Value until accepted by Good Value. Terms of payment are within Good Value sole discretion. Invoices are due and payable within the time period specified on the invoice, measured from the date of invoice, subject to continuing credit approval by Good Value. Good Value may invoice Customer separately for partial shipments. Customer agrees to pay interest on all past-due sums at the lower of one and one-half percent (1 1/2%) per month or at the highest rate allowed by law. Customer is responsible for, and will indemnify and hold Good Value harmless from, any applicable sales, use, transaction, excise or similar taxes (but not taxes imposed or measured by Good Value's net income), and from any federal, state or local fees or charges (including, but not limited to, environmental or similar fees), imposed on, in respect of, or otherwise associated with the order. Customer must claim any exemption from such taxes, fees or charges at the time of purchase and provide Good Value with the necessary supporting documentation. Any sales, use or other applicable tax or fees or assessments is based on the location to which the order is shipped. In the event of a payment default, Customer will be responsible for all of Good Value's costs of collection, including court costs, filing fees and attorneys fees. Good Value customer return requests must be made within 30 days of invoice date. Return privileges are contingent upon various manufacturer policies. Good Value reserves the right to decline return requests based on those policies. Please verify policies for specific item(s) with a member of Customer Relations. 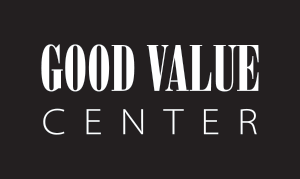 Please contact Good Value Home Improvement Center to receive a "RMA" Return Merchandise Authorization before returning any items. Any items returned without an RMA will not be accepted. Customer is responsible for shipping charges to Good Value"s distribution center for all products being shipped back to Good Value. Products exchanged or replaced will be shipped by Good Value to the Customer, at Good Value"s expense, using the same shipping method as was used by Customer to ship the original products back to Good Value. If Good Value does not use the carrier selected by Customer, a comparable shipping method will be selected. Customer is responsible for all risk of loss and damage to products being shipped back to Good Value. Please fully insure return shipment in case of loss or damage. Please use a carrier that is able to provide you with proof of delivery such as UPS, Federal Express or DHL. This is for your protection as well as to ensure quick action on your return. If Customer receives damaged products; please make sure the freight carrier makes a record the damaged products upon original delivery attempt. If damaged products are accepted from the carrier, such damage should be noted on the carrier delivery record. Please save the product and the original box and packaging and notify Good Value immediately to arrange for a carrier inspection and a pick up of damaged products. Good Value Home Improvement Center must be notified of visibly damaged products WITHIN THE FIRST 10 DAYS of receipt. Timely receipt of this information is necessary for Good Value to file a damage claim. Good Value Home Improvement Center and or it's staff will make every effort to assist customers in determining quantities of items or sizes related to flooring, doors, and cabinets. It is ultimately the customer's responsibility to make the final determination of what is needed. All items ordered and returned within 30 days of purchase with a 30% restocking fee. Buyer pays shipping. Restocking fee doesn't not apply to damaged product that is being return. Any damage to items must be reported within 10 days of receipt of product. Click here for Good Value Home Improvement Center contact information.